Now that we made the local Forest Park newspaper, does this mean we're famous? The Forest Park Review published an article in today's paper about our efforts to garner support for the community garden. I think Jessica and I both agree that we hate the picture. The photographer that took it was really nice. We asked him what we should do as far as posing and he informed us that we should just act like he's not there. We were like "dude, we would totally NOT be here if you hadn't asked us to come!" Now that the article has hit the newspaper, we're really hoping people will visit the website, take the survey and maybe even sign up to help with the garden. 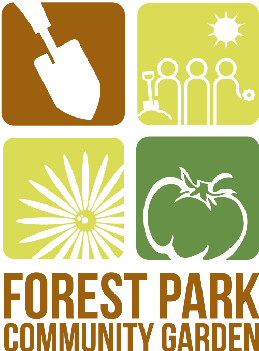 The Forest Park Review is a community newspaper published every Wednesday. I love it because they only publish local interest articles. I have no idea how many Forest Park residents read the newspaper, but I read it, and I don't even read newspapers. Our next step is to set up another meeting to begin to develop strategies for planning and fundraising. We're still looking for ways to get the word out and recruit new volunteers to help plan and fund-raise for the community garden so leave us a comment if you've got any good ideas.